Sowbaghya 2 Burner has Stainless Steel Drip Trays around Burners to receive Spillages/overflow. Our ease to install and safe to use Glass top Gas Stoves are efficient. These Stainless Steel Glass Top gas stove perfectly complements your kitchen. Owing to our proficiency in this domain, we are providing our clients an optimum range of Double Burner Gas Range. 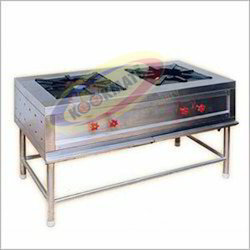 We are engaged in offering Pigeon 2 Burner Gas Stove. Reckoned as one of the most involved companies in this industry, we are extremely immersed in offering Domestic Gas Stove. Banking on the skills of our qualified team of professionals, we are instrumental in offering a supreme quality range of Two Burner Gas Stove. 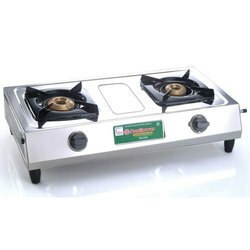 Relying on our expertise in this domain, we are offering Two Burner Gas Stove.